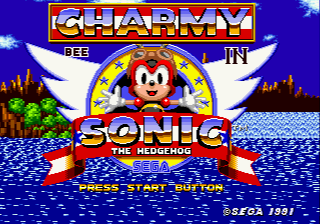 This is a hack which adds Charmy the Bee from Knuckles Chaotix and Sonic Heroes into the original Sonic the Hedgehog for Sega Genesis. 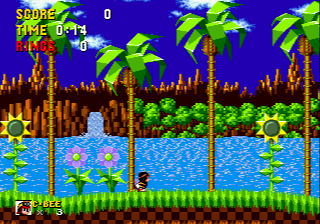 In normal stages Charmy will do air dashes instead of jumping by pressing the jump button and any direction. 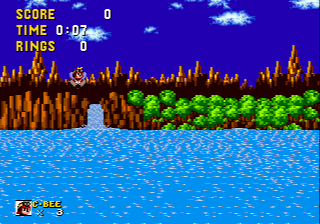 It can be done multiple times so he can easily fly through the tops of some stages. In special stages Charmy has the ability to jump but cannot air dash. Collision has be edited so the player will interact with objects correctly. Note that the patch was created on a 1.0 version of the ROM in BIN format. It has not been tested on other versions nor ROM formats. The patch is in xdelta format due to shifted data in the hack.